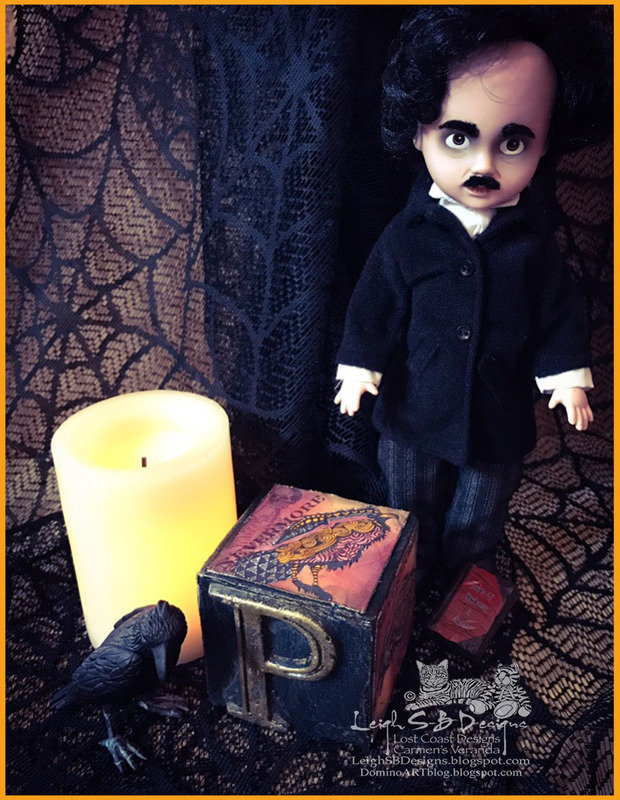 Velvet Paw Creations: "Poe" altered alphabet cube - Poe Appreciation Day Blog Hop 2017 at Lost Coast Portal to Creativity! "Poe" altered alphabet cube - Poe Appreciation Day Blog Hop 2017 at Lost Coast Portal to Creativity! 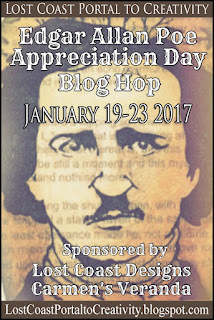 Then you're in for a real treat coz today is his birthday and Lost Coast Portal to Creativity is celebrating with our 2nd annual Poe Appreciation Day Blog Hop! 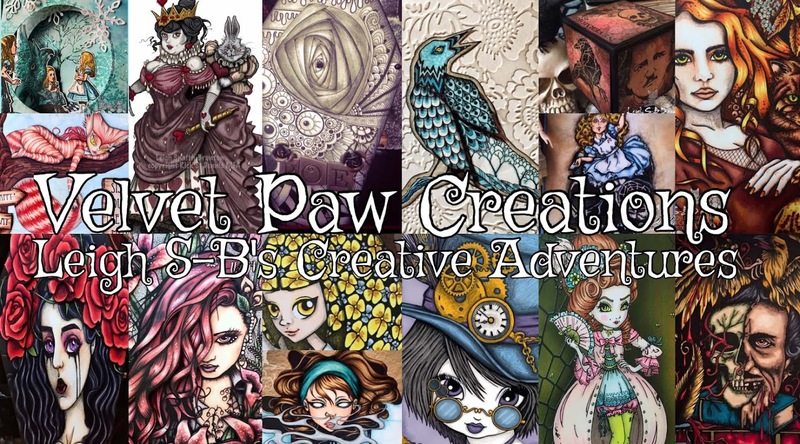 This is a progressive hop that spans over 5 days which means new Poe projects will join the hop every day as more Poe fans play so check daily and hop all the blogs! 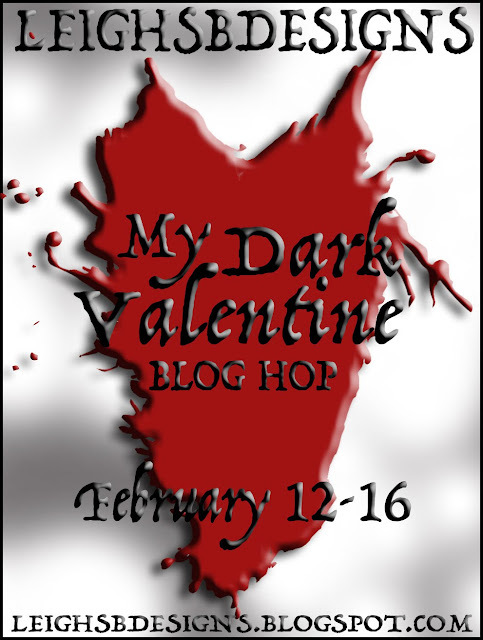 The Blog Roll is in the form of an Inlinkz link up and the HTML code to use in your blog posts is provided over at Lost Coast Portal to Creativity HERE and on today's Hop post which will go live at 9am PST! 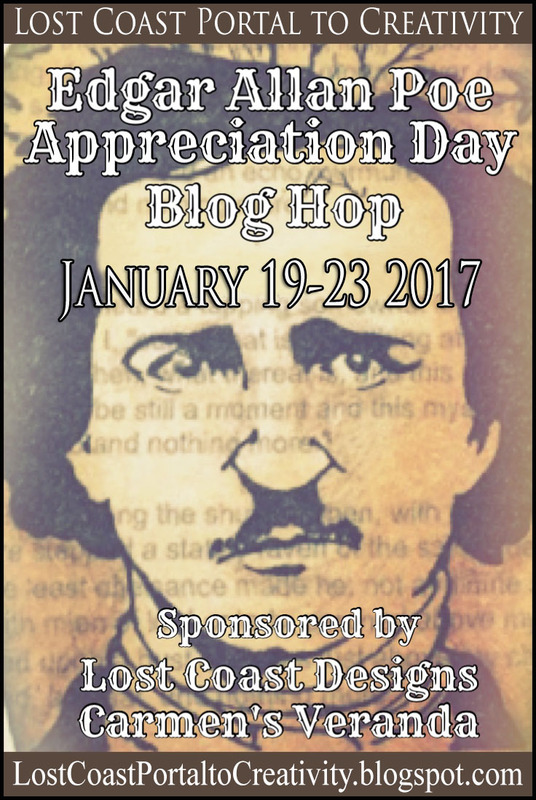 Last year's hop was a huge success and we hope to see lots of fabulous Poe themed creations shared again this year so lets get on with the Poe show! 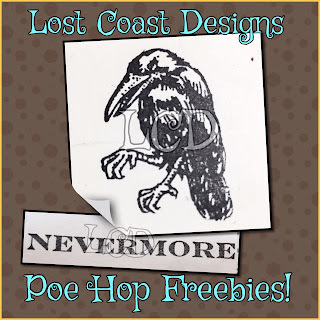 In celebration of our 2nd Poe Hop we have NEW stamps and I've used them on my project today! Woohoo! 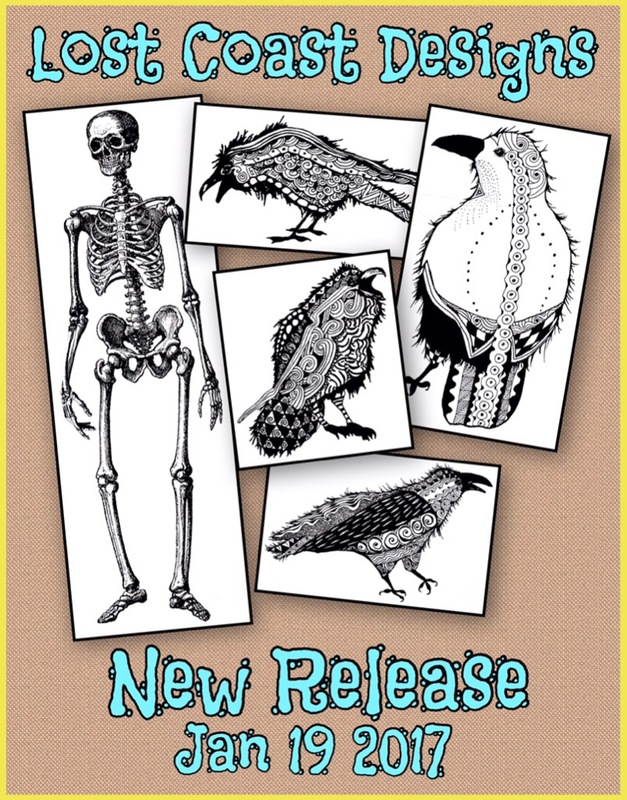 These Zentangle inspired Ravens (available in various sizes) and Skellie are so much fun! 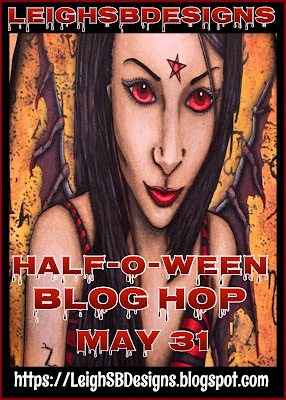 But wait..there's more, we also have a wonderful Poe Hop special for you! Lost Coast Designs newest Zentangle inspired Ravens: Raven Mom small, Raven Right Small, Raven Left Small, Raven 1 and Small Skeleton as well as the Scalloped Flourish. 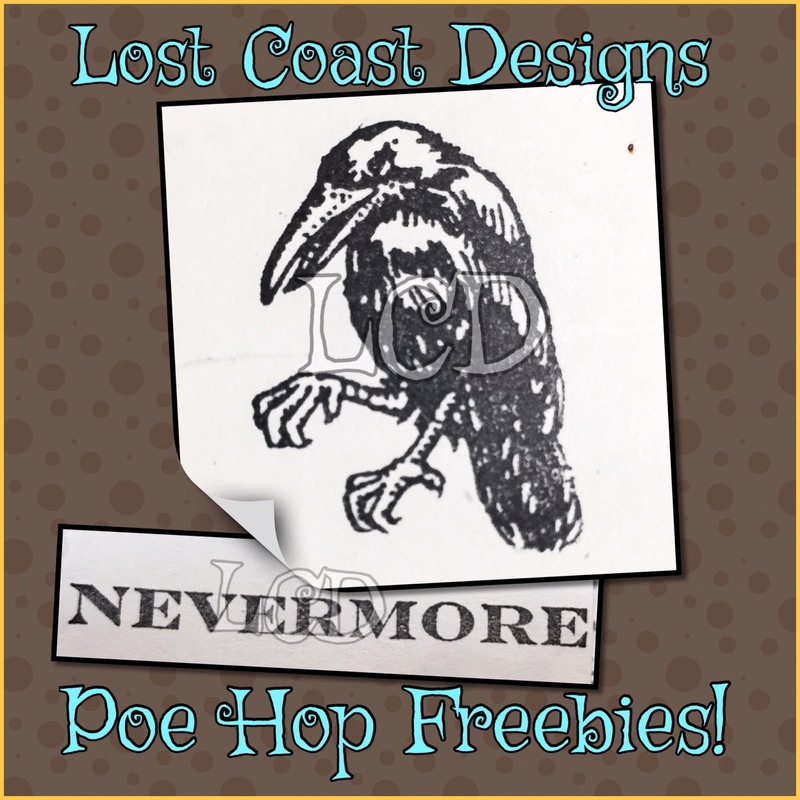 Carmen's Veranda: Edgar Allan Poe portait and small Nevermore...which is one of the Poe Hop Freebies! In the photos below you can see the metallic gold flourishes. I stamped the Ravens with Tuxedo Black Memento ink on Neenah Solar White cardstock cut into 2.5" square pieces and coloured them with Copics. The images were masked with Pebeo masking fluid and the backgrounds done with Tea Dye, Aged Mahogany and Black Soot Distress inks. The Nevermore text and Poe were stamped with black Archival ink and the Skeleton in London Fog Memento ink and the flourishes in Galaxy Gold Brilliance ink. The cardstock panel edges were all distressed and I applied metallic gold rub-on creme to the roughened edges before adhering the panels to the cube which I'd already distressed a bit more with sandpaper. I also added gold rub-on cream to the "P" and to all the edges of the cube as well. 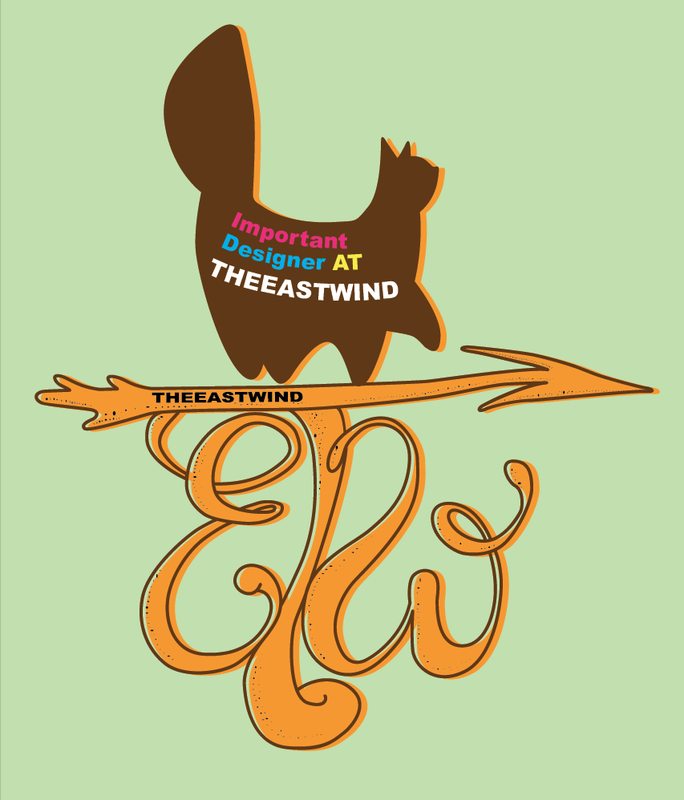 Now off you hop to see more fabulous Poe inspired creations by my fellow LCDesigners and Poe Fans! Enjoy! 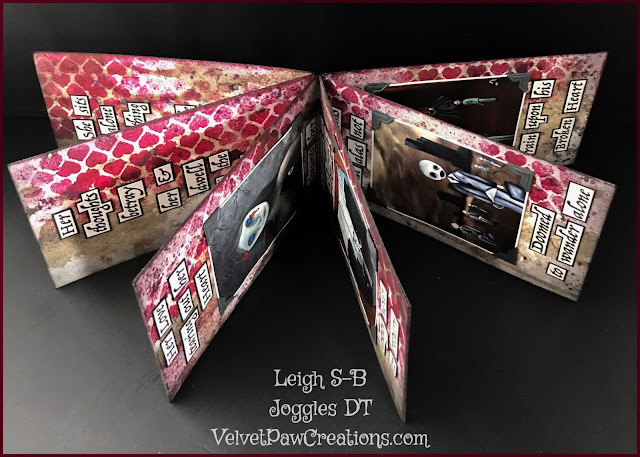 Love your altered cube Leigh - what a fab find to start off with! The zentangled ravens are wonderful! 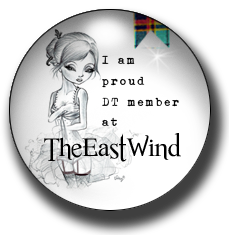 Thank you Susan, I appreciate your stopping by and for also playing in our Poe Hop again this year! Wonderful altered cube....love the Zentangled Ravens! 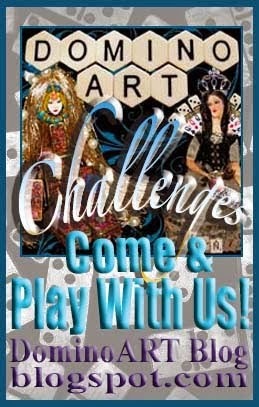 Thank you Val, our new Ravens are so much fun! 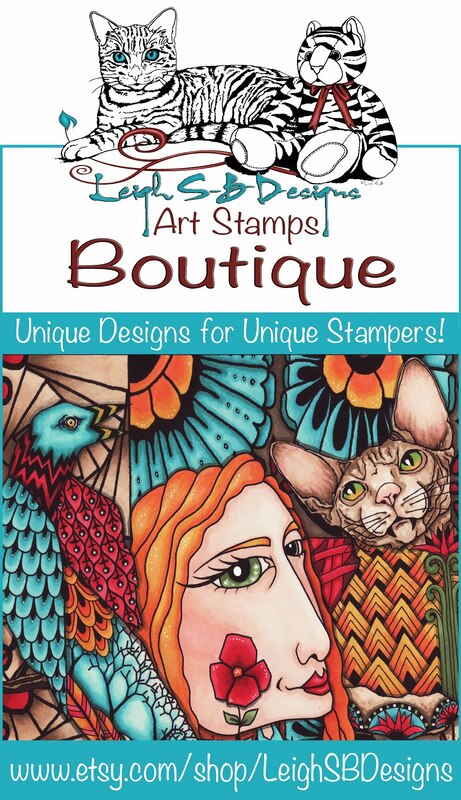 Wonderful, love the new stamps and your cube. 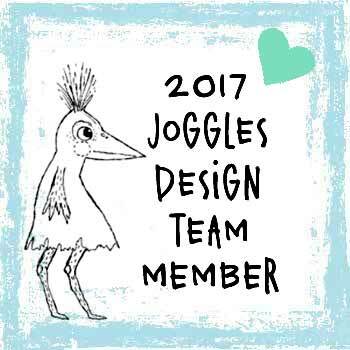 Thanks for sharing the creative process. Inspiring, as usual. Thank you Nikki...the Ravens are so much for to create with! Thank you so much Nan! The Ravens are so much fun and oh yes, a variation of Nevermore will be joining our stamp family soon! That's an awesome cube! I love how those ravens look and those touches of gold are so rich. 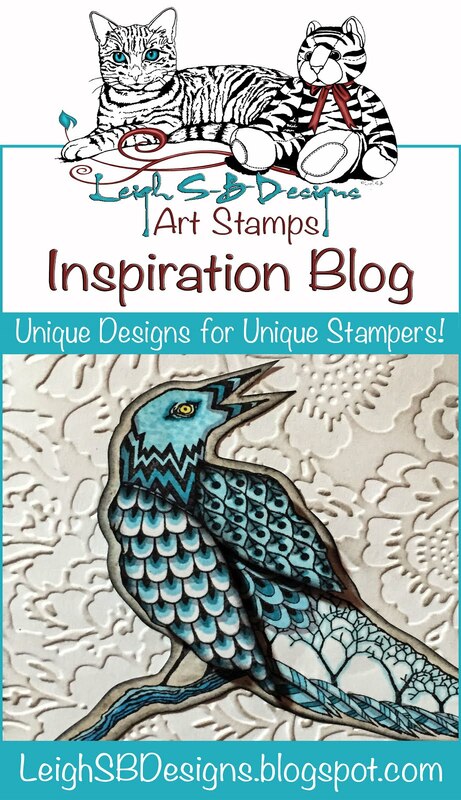 I can't wait for my raven stamps to get here! Thanks for the inspiration! Really cool make, and super moody photography with the candle and bird too! 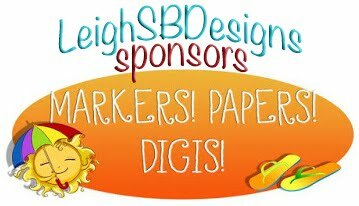 Sets the tone perfectly for this great blog hop! Aw your little Poe is so cute! That block is fabulous, love the deep colours. Brilliant art cube, love the red tone and the combination of images with awesome new birdies.